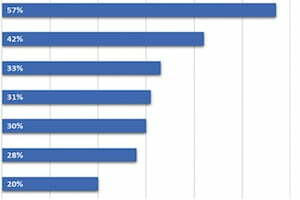 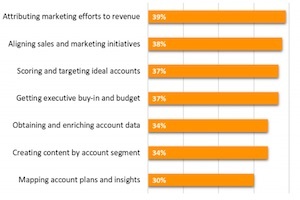 The report was based on data from a survey of 253 marketing influencers (53% work for B2B firms, 28% for B2C firms, and 19% for hybrid, B2B-B2C firms). 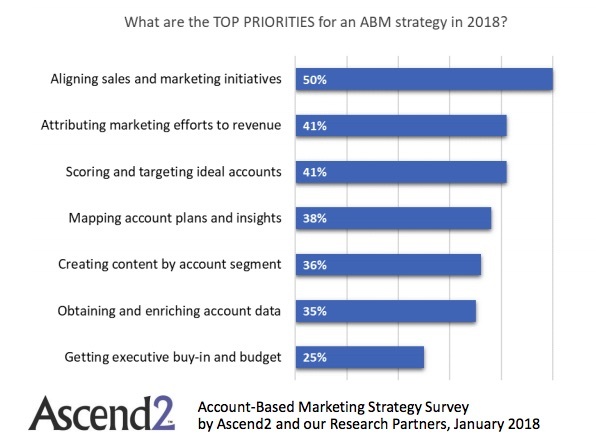 Respondents were polled on how they use account-based marketing, which refers to the approach of targeting individual prospect/customer accounts as markets of one, rather than targeting wider groups/verticals. 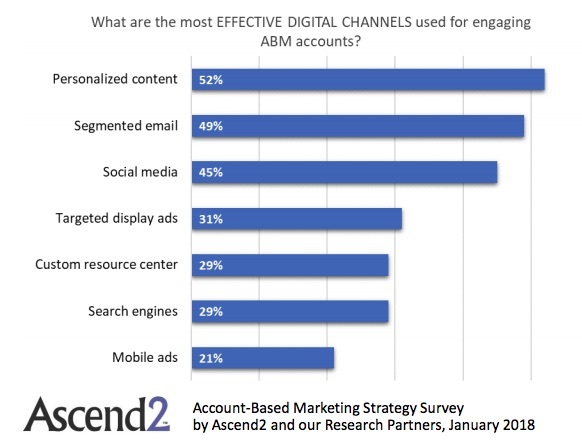 Some 52% of marketers say personalized content is an effective account-based marketing digital channel, 49% say segmented email is an effective channel, and 45% say social media is an effective channel. 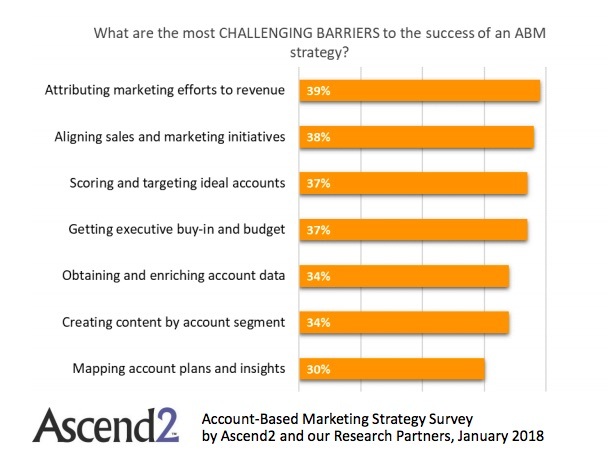 About the research: The report was based on data from a survey of 253 marketing influencers (53% work for B2B firms, 28% for B2C firms, and 19% for hybrid, B2B-B2C firms).